Choate Senior Spot — Landworks Studio, Inc. 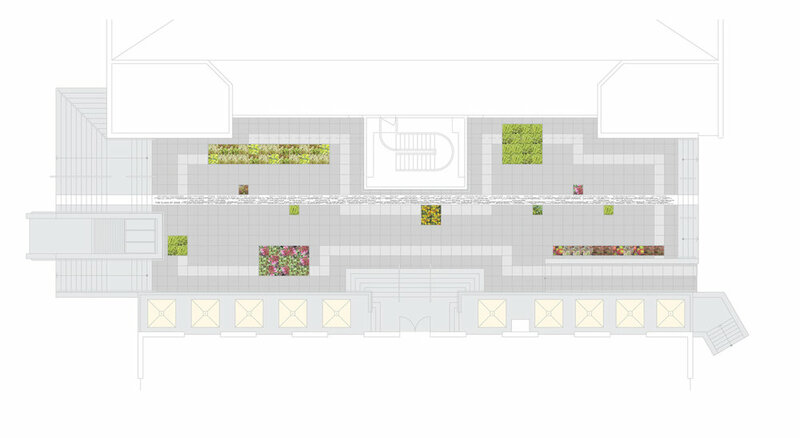 When the graduating class of 2008 decided to convert an overlooked exterior passageway into a gathering space for future classes, Choate Rosemary Hall asked Studio ABK Architects to undertake the transformation, and Landworks Studio was called upon as a consultant for the design. As the students raised money from classmates, parents, faculty and alumni, we helped to develop a unique, sustainable concept to turn a bland circulation space between the Student Activities Center and Larry Hart Pool into a vibrant, new courtyard for organized events or casual meetings. The existing site was surfaced with 24-inch concrete pavers; to minimize costs and site work, the design builds upon this grid. 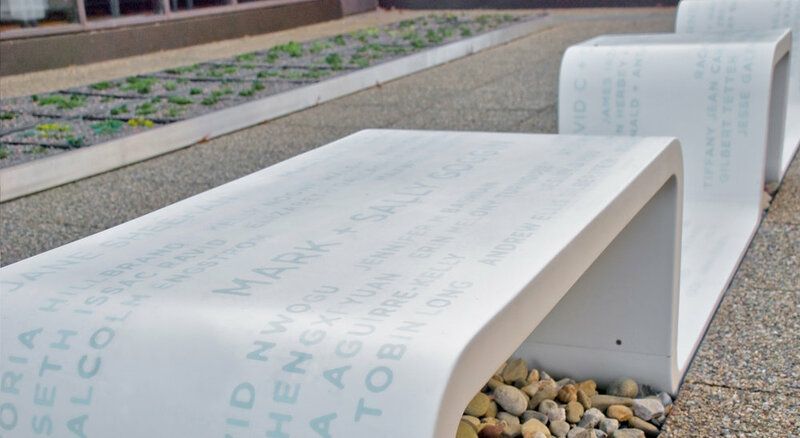 The centerpiece of the Senior Spot is a 131-foot, undulating, white bench which runs the length of the courtyard, replacing a single stripe of pavers. Additional pavers were taken up and replaced with modular, recycled plastic trays planted with a range of perennials. Tables and chairs along the north side of the courtyard provide additional seating. The students requested that each donor be recognized for his or her contribution to the Senior Spot. 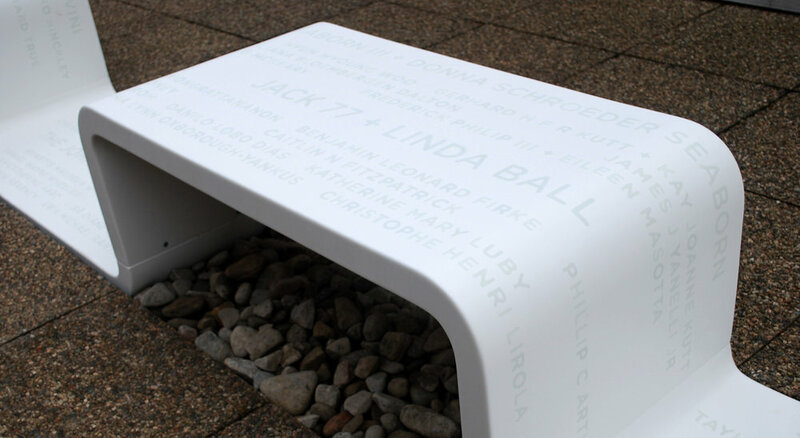 Therefore, every donor’s name has been formed from Lumistone – a photoluminescent material – and inlaid into the surface of the bench. After nightfall, the names emit a blue glow, softly lighting the courtyard and reminding passersby of the students and friends of Choate who made this very special space possible.